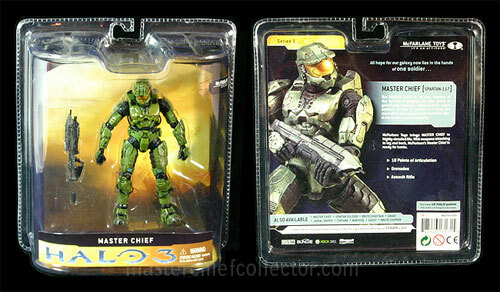 Todd McFarlane’s Toys produce the Halo 3 action figures. 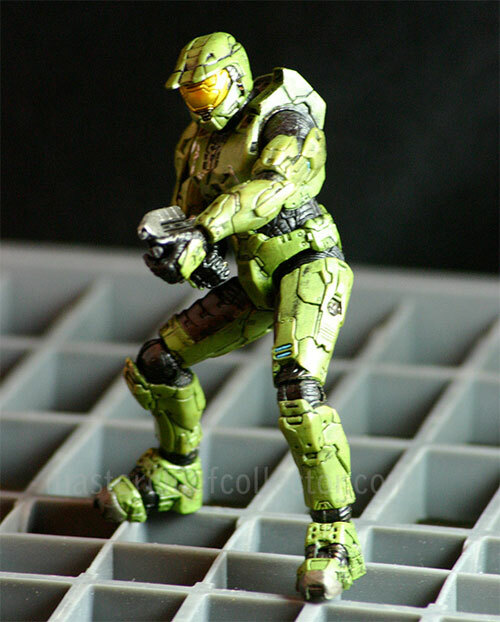 The Master Chief figure wears an upgraded model of the MJOLNIR Mark VI Battle Armor and carries the new MA5C ICWS Assault Rifle. It is 5 inches tall, and has 18 points of articulation. The MA5C can also be attached to the figure’s leg or back. The original packaging states the figure comes with a fragmentation grenade which is missing. The figure’s waist is too thin and looks out of proportion, but other figures wearing the Mark VI armor have correct proportions. In the second series these mistakes were corrected.